Teachers have long tried to introduce new strategies in the classrooms to get primary students excited about STEM subjects. Sometimes this task is time-consuming and does not reach all the students in the expected way. 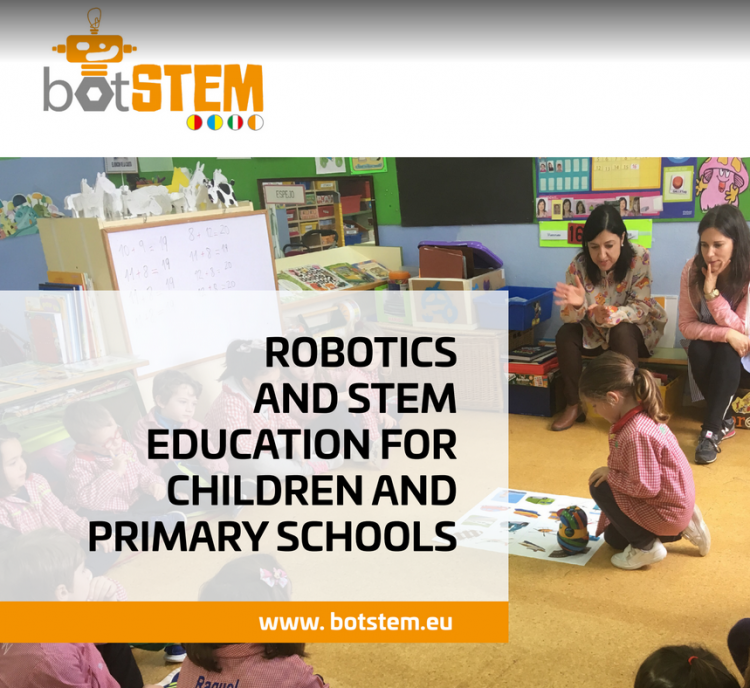 In order to help teachers to motivate pupils in a fun, motivating and appealing way, the BotSTEM European Project Partners have created Toolkit to provide digital support for STEM disciplines (Science, Technology, Engineering and Mathematics) using robotics and programming. The Toolkit can be downloaded at www.botstem.eu as a free resource and it has been translated into 5 different languages: English, Spanish, Italian, Greek and Swedish. Theoretical framework with an integrated and inclusive STEM approach on a pedagogical basis and with methodologies for introducing STEM and computational thinking to young students. A selection of good practices in STEM education and robotics produced and tested by teachers of different European countries. A group of new activities, designed by the BotSTEM project partners within the theoretical framework proposed, for developing STEM concepts, ideas and competences, making stepwise use of robotics, code learning, and physical computation. A selection of Open Educational Resources, useful for teachers wishing to introduce STEM approaches, collaborative inquiry teaching, code learning and programming for 4-8 old pupils. This toolkit takes into account that robots aren’t just for tech-savvy students who need a challenge. Learning with robots can have additional benefits for students with disabilities. Also, it considers Inclusion as a must in the classrooms and therefore it offers the possiblitity to do activities in class where all the students are integrated. Robotics and programming is also a field that has the ability to empower young girls in the classroom. Read the toolkit and get ready to use new and innovative methodologies in the classroom. It provides the teachers with great ideas to implement!